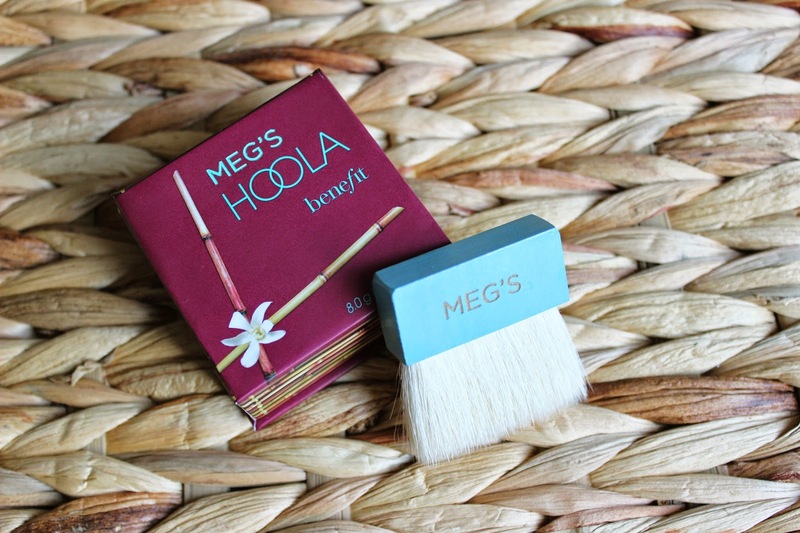 Meg's Boutique: GIVEAWAY | Win A Personalised Benefit Hoola! If there's one beauty product on my spring hot list it's Benefit Hoola Bronzer- this gorgeous pan of product takes skin from pasty to tasty in no time with a flattering cool toned matte finish that leaves no oompa loompa or Edward Cullen effect in sight. Being such a Hoola fan I got very excited when I found out that Benefit were personalising some of these little Hawaiian boxes as part of #howdoyouhoola month! 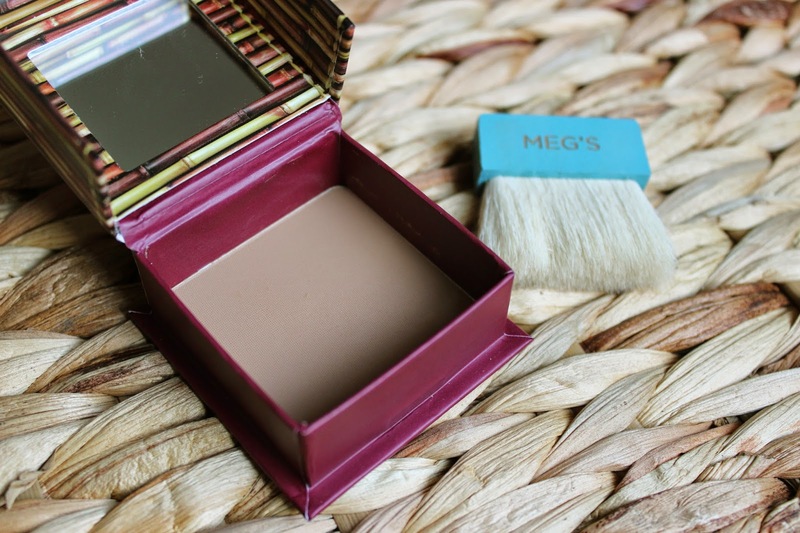 I was actually lucky enough to get sent one with my very own Meg engraved box and brush, but even better than that, Benefit have given me the chance to give a personalised box away to you too! All you have to do to be in with a chance of winning is enter via the Rafflecopter form below- I'll be announcing the winner on Instagram at the start of May so keep your eyes peeled and dream of bronzing by the beach with a box that has your name on...sandy swoon. MATE I'm so excited for this! Fingers crossed! I've never actually tried this bronzer before! But how cool is that! So cute that they put your name on it! would love to win this, I've never tried this bronzer but have also wanted to! As if anyone needed more of a reason to love Meg's boutique!